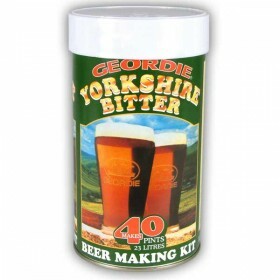 This kit has the rich nutty taste that should be expected of a traditional well hopped bitter. 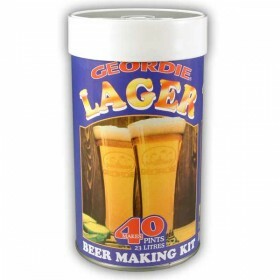 Ma..
A refreshing light coloured pint that has that tangy German lager taste. 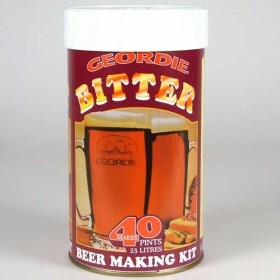 Makes 40 pints. 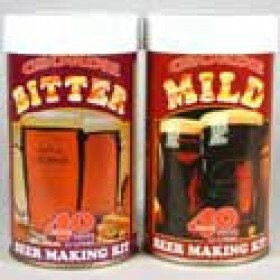 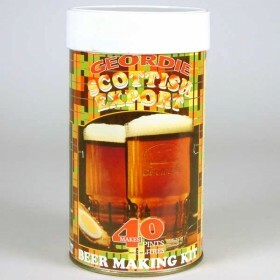 ..
Has a full balanced taste and the distinctive aroma of Scottish Beers. 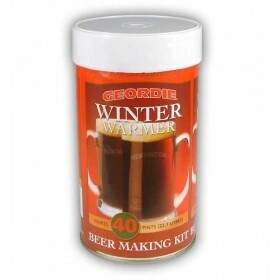 Produces a deep golden colour..
A beer with a rich dark colour, reminiscent of the woody colour of conkers, with a lightly balanced ..
Geordie Yorkshire Bitter is light in colour and has the slightly sweet taste of the best traditional..